When Writer’s Block Sets In, How Can You Defeat It? The biggest consistent hurdle for many online brands is the crafting of relevant, meaningful content for their audiences. Whether it is to attract attention on social media, garner views via search engines or target specific people via email marketing, you need plenty of proverbial meat and potatoes to keep your audience engaged. Everybody faces a point where the ideas stop flowing and content creation grinds to a halt. No matter the niche or level of experience one has, it is bound to happen. 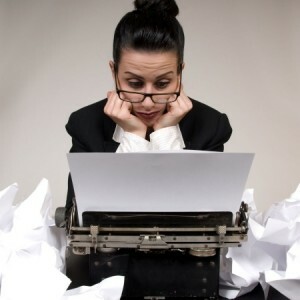 Here are some tips on how you can overcome writer’s block quickly and get back to work. Sometimes, a plethora of fresh ideas is right underneath our noses. You are very unlikely to be the only blog or website covering your particular niche, so why not consider scoping out what others are saying? It is through a variety of searches and subsequent reading that you’ll likely find buzz about late-breaking events, important updates and other topic angles that give you inspiration for new content. Whether this is by peeking at your competition or perusing what others are saying across the web about the niche in general, you’re very likely to find at least a couple of new ideas this way. Sometimes, there might genuinely be nothing new to cover. If you have done an ample amount of brainstorming and browsed the web to no avail, then maybe you should consider repurposing some of your old content. Whether you’re looking for fresh ideas to share on your blog, via email or through social media, analyzing past content may provide opportunities for creating new pieces. From round-ups to annual summaries, there are many potential ideas you can tap into so that you’re back to pinging your website with content in no time. Your followers and fans may be filled with ideas that you haven’t yet considered: why don’t you ask them? Whether you seek input via social media or on your blog, reaching out to your audience can kill two birds with one stone. First of all, you’ll be able to come up with some fresh ideas that haven’t been covered yet. Additionally, you’re sampling what your audience wants to see directly, meaning that the content is likely to resonate more with the audience (which leads to more clicks, shares and comments). One more excellent way to tap into fresh ideas is to turn to the biggest search engine of them all: Google. There are numerous methods for mining great ideas out of Google, depending on what niche you’re covering. For starters, you can consult Google Webmaster Tools to see which current keywords of yours are driving the most traffic to your website. Next, consider looking at Google Keyword Planner and Google Trends to see which topics are more relevant to searches associated with your niche and which ideas are currently gaining in popularity. Lastly, Google News can provide you with alerts and/or inspiration on late-breaking events in your niche, which may provide inspiration. Writer’s block is natural and it will happen to everybody at some point. How you respond to it is what matters. For content creators, there are many ways to tackle this problem. If you’re having trouble with pinging your website with new content, then consider the ideas above and employ them until you’ve broken through the block. « What Are the Main Components of Local SEO?